The election of Franklin D. Roosevelt in 1932 resulted in the New Deal he proposed, a fundamental shift in the American political economy and a new conception of the relationship between the government and the governed. Though less overtly critical of the Constitution than the early progressives, FDR largely ignored it, saying only that it was “so simple and practical that it is possible always to meet extraordinary needs by change in emphasis and arrangement without loss of essential form” (Franklin D. Roosevelt, “First Inaugural Address, March 4, 1932). The New Deal redefined the purpose of government. No longer was it enough for the government to protect the rights of individuals. The Founders’ regime of limited government, Roosevelt believed, had created a new class of industrial titans, “malefactors of great wealth,” who had acquired tyrannical power over farmers, small businessmen, consumers, and workers. It was now necessary for the government to redress this imbalance of power, to redistribute income and wealth, and to provide economic security for the victims of the old system. In the 1932 campaign he called for “an economic declaration of rights,” a new Bill of Rights that would provide citizens with such goods as jobs, housing, education, recreation, and health care. 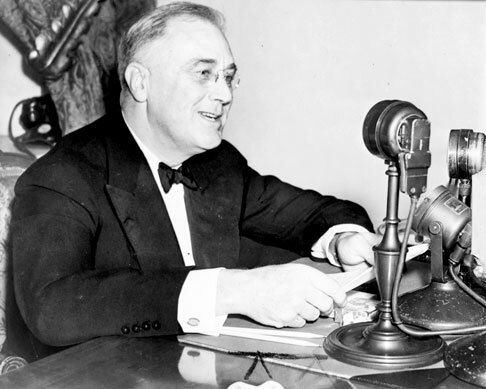 In the 1932 campaign Franklin D. Roosevelt called for “an economic declaration of rights,” a new Bill of Rights that would provide citizens with such goods as jobs, housing, education, recreation, and health care. Roosevelt’s initial strategy was to promote a system of industrial and agricultural cartels created by government. The Agricultural Adjustment Act would enable farmers to limit crop production in order to increase the prices they got, with government subsidies if those prices were not reached, paid for by taxes on processors of farm commodities. The National Industrial Recovery Act invited industries to devise “codes of fair competition”—to limit production, raise prices, and agree to bargain with labor unions. The New Dealers hoped that these schemes would produce reliable profits for businessmen and farmers, who would then increase their own spending and hiring, and thus facilitate economic recovery. They had, however, clearly failed by the time the Supreme Court declared them unconstitutional in 1935 and 1936. The administration did not abandon its initial strategy. A “second New Deal” followed further Democratic victories in 1934 and adjusted to the Court’s constitutional objections—for example, by providing benefits to farmers from general revenue and promoting crop reduction as “soil conservation.” It enacted more specific price- and production-fixing measures for particular industries like coal, oil, and motor transportation. It promoted labor unions with the National Labor Relations (Wagner) Act, which compelled employers to bargain exclusively with whatever organization a majority of its workers chose to represent them. It regulated capital markets by the Securities and Exchange Commission and passed legislation strengthening the power of the Federal Reserve Board. It also embarked on massive public works spending and government employment programs, adopting and gradually applying the economic philosophy of John Maynard Keynes that government spending was the cure for depression and unemployment. Congress also provided long-term policies for old-age pensions, unemployment insurance, and insurance for widows and orphans in the Social Security Act of 1935. This was said to be insurance paid for by one’s earnings, rather than a welfare payment. Upholding the Wagner Act and Social Security Act, as well as state economic regulations, the Court no longer used the due process clause of the Fourteenth and Fifth Amendments or the dual federalism of the Tenth Amendment, to protect property rights. 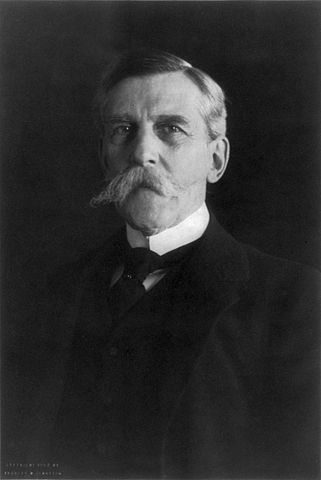 Charles Evans Hughes was Chief Justice of the Supreme Court from 1930-1941. After 1937, the Court stepped aside when it came to economic regulations. The states were free to exercise their police powers to legislate for the safety, health, welfare and morals of the people, unrestrained by the Fourteenth Amendment, the due process clause of which had been held to protect fundamental economic freedoms such as the “liberty of contract.” Congress could do [virtually anything] under the interstate commerce power and its power to tax and spend. The Court declared in the 1938 case of U.S. v. Carolene Products that it would apply a stricter standard of constitutional protection to non-economic rights and the rights of minority groups especially. The Second World War had many of the same effects as the First, establishing a wartime economy in which the government controlled prices and rationed scarce goods in the Office of Price Administration, one of many new agencies. Government control of the wartime economy included extraordinarily high rates of taxation, inflation, the promotion of labor unions, wage and price controls, and outright rationing. The Second World War, like the First, produced a public reaction against these economic controls after the war ended. But the most important New Deal programs survived the postwar readjustment and many of them, like Social Security, expanded. Liberals were disappointed that they were unable to bring the New Deal to completion, as President Harry Truman proposed in his “Fair Deal” campaign. Conservatives were disappointed that the Republican Eisenhower administration did not roll back the New Deal. Labor unions continued to grow, but their powers were limited by the Taft-Hartley Act of 1947, whose most important provision permitted states to prohibit agreements that compelled workers to join unions. Over time, more capital would be invested and economic growth would occur in these “right to work” states of the South and West. The New Deal and the war had produced a myriad of administrative agencies that combining legislative, executive and judicial functions. These powers were largely confirmed in the Administrative Procedure Act of 1946, which attempt to guarantee due process to persons and companies who were accused to violating administrative regulations. As the Cold War settled in, especially with the outbreak of the Korean War in 1950, many elements of the wartime economy in both world wars, such as conscription, continued after World War II. President Dwight D. Eisenhower warned about an excessively militarized economy—what he called the “military-industrial complex”—in his 1961 farewell address (Dwight D. Eisenhower, “Farewell Address,” January 17, 1961). At the height of the Cold War the U.S. spent 10 percent of its gross domestic product on defense. The twenty years following World War II were prosperous. Economic growth was slow but widely shared; this period saw less income inequality (measured by the share of national income going to the top and bottom quintiles of the population) than any before or since. American producers were temporarily ahead of foreign competition, and American workers similarly benefited from laws that severely limited immigration until 1965. These were the years of the “big-unit economy,” in which a small number of firms dominated their markets, and the country valued stability and equality above entrepreneurial risk-taking. Policymakers believed that modern, Keynesian economics, by which government fiscal powers could prevent depressions and inflation, now enabled the government to ensure growth and full employment without excessive inflation. In the generation after the Second World War, the American people had great confidence in the government. This fed another great expansion of progressivism, now called liberalism, in the “Great Society” of the 1960s.